The Smittybilt 2-inch x 20-feet recovery straps utilizes double-stitched webbing, with a double hoop design. These recovery straps are rated for 20,000 lbs. 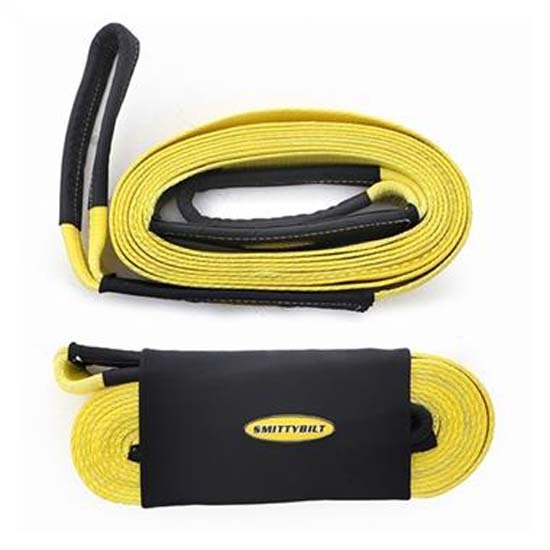 Look to Smittybilt for recovery straps to help guide you out of any situation. 2 in. x 20 ft.